You are here: Home / News / News / This Week’s Top 5 Jobs! 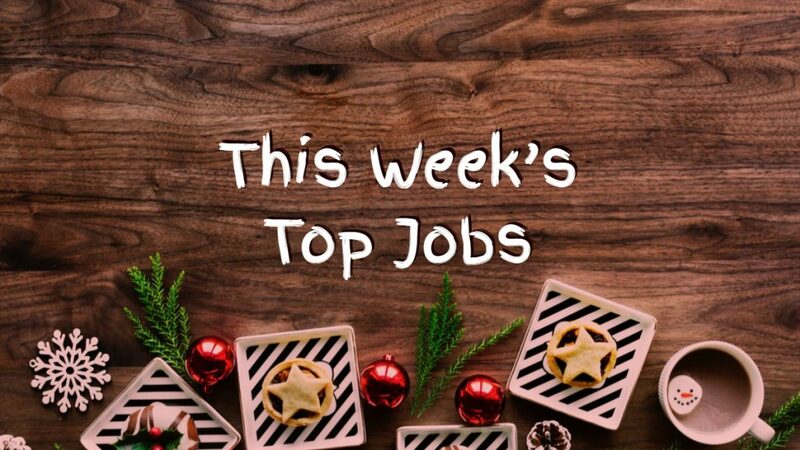 This Week’s Top 5 Jobs! We have decided to shake up our Top Job list and trial publishing it on a Tuesday or Wednesday going forward! So with this in mind – take a look below at the team’s top jobs! You can apply online via the link on the jobs – if you know someone who would be perfect for the role and you are registered with us – you can take part in our recommend a friend scheme so be sure to spread the word! We hope you are having a great week! Are you a people-person with strong customer service skills? Are you organised, with experience working in a busy administrative department? We have a great role for you! Pursuit Resources are currently recruiting for an Order Processor for our client, a successful, well-established and growing manufacturing company based in the Essex area. Do you have experience in Buying, or Account Management within retail? Are you comfortable negotiating prices, or dealing with suppliers overseas? Are you looking to work for a dynamic, exciting and successful company? We have an amazing role for you! Pursuit Resources are currently recruiting for a Product Manager for our client, a UK industry-leading, extremely successful and rapidly growing company, for an opportunity at their Harlow offices. Pursuit Resources are currently recruiting for a Junior Digital Account Manager for our client, an award-winning, reputable and rapidly growing agency based in the Essex area. Pursuit Resources are currently recruiting for an organised, driven Stock Controller for our client, a rapidly growing, successful eCommerce company based in the Essex area. Are you an experienced Customer Services professional looking for their next career move?